The Romans had a principle that the basic way of life should be as stable as possible. People are happier when their basic needs are met and they do not need to worry too much about them, so they reckoned. One very basic need for any Roman community was the constant supply of water that was required for the day to day functioning of the townsfolk. vast amounts of water was needed not just for the baths they frequented, but also for the businesses and homes in the town. The idea the Romans had slaves to carry water from rivers to houses is completely false. The Romans had a complete water supply and removal system that was technologically one of the most advanced systems of it's day. Towns were built for specific objectives, whether they be for military, civil administrative or trade purposes. It was not always possible, or always desirable, to build a town on the banks of a river. So there had to be a way to get the water from the source, into individual buildings in the town, and out again as waste. To supply water, first there must be a source. In Roman Britain this was either a river or an underground spring. 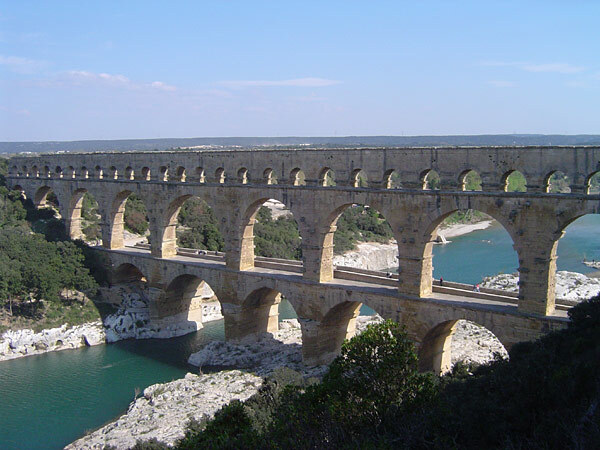 The method of transporting water from it's origin to the town was via an aqueduct. 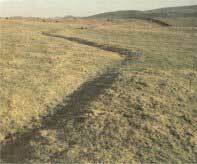 This was a channel dug in the ground and lined with clay to prevent seepage into the surrounding soil. In Dorchester there is a an aqueduct that is still largely intact which measures 8 miles long by 5ft wide and 3ft deep (13km by 1.5m by 1m). Such a passage would be capable of delivering a staggering 2,000,000 gallons (9,000,000 litres) of water a day. On arriving in the town, the channels would divide up into smaller channels that ran alongside the buildings. From these, the water would disappear into lead pipes leading into businesses and homes. Notice lead pipes were used. The Romans had no idea lead was poisonous. An ingenious method of ensuring businesses had priority in water supplies was to set the outlets from the main channel to home users higher up the side than for business users. In times of low water supply, the level of the water arriving in the town would be lower than usual. By setting the exit levels from the main channel to different heights, the homes would be without water, while businesses would still get their supplies. To compensate for this, many homeowners would dig their own wells, or store water in barrels. Again the Romans did not know the dangers of stagnant water if left too long. Coupled with this and the lead pipes, it is easy to see how these factors contributed to the relatively short lifespan of the people. Similarly the Romans had methods of dealing with the water that left the towns. The water was treated differently depending on where it came from. Water from the bath houses passed underneath the toilets, which were nothing more that holes in a long plank of wood that ran alongside a wall about 3ft (1m) from the floor. It then joined the main sewer that ran out of the town. Homes and other businesses had their waste water running through pipes into the main sewer tunnel. 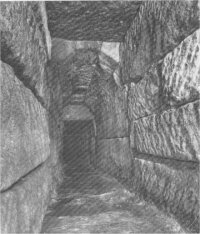 The Roman sewer system itself was a stunning feat of engineering. 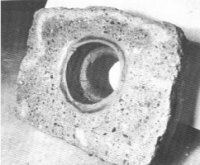 Most of the drains were timber sided constructions, though in Colchester and York, the system was much larger and more substantial. The York system was constructed using blocks of millstone that weighed 3½ tons (17,248kgs) each. The tunnels were so large an average sized person could stand upright in one without touching the ceiling.